Without any huge promotion Japanese car maker Toyota Motors has launched the upgraded version of its best selling sedan Camry Hybrid in the Indian car market with starting price of Rs. 37.22 lakh (ex-showroom price, New Delhi). 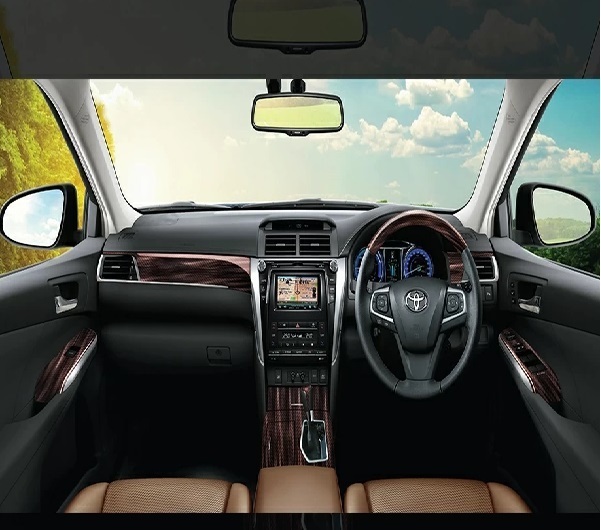 The major upgrades are mainly offered inside the cabin including dual tone interior, three spoke multi-functional steering wheel, and also use of faux wood at various places. The bunch of other features offered inside the cabin includes wireless charging pad, LED fog lamps, 12 speaker JBL audio system, upgraded infotainment system, tyre pressure monitoring system, and nine airbags. Along with it also hosts few more features including collapsible rear seat headrest, head up display unit, LED projector headlamps, and few more. With integration of these features the new Camry Hybrid is now the best selling hybrid sedan being sold in the country against Honda Accord Hybrid. Under the hood, it will be empowered with the same 2.5 litre four cylinder petrol engine along with electric motor that is capable of boosting an overall power of 202 bhp and the torque of 213 Nm. It would be interested to know that Camry Hybrid since its launch in the Indian car market had been the bestselling car in its segment, but going through the pricing norms changed by the government for hybrid vehicles with the introduction of GST last year, the sedan witnessed significant decline in its sales. Now with introduction of additional features which are not offered in other hybrid cars in India it is believed that despite of hiked price the sedan will succeed in regaining its same position.